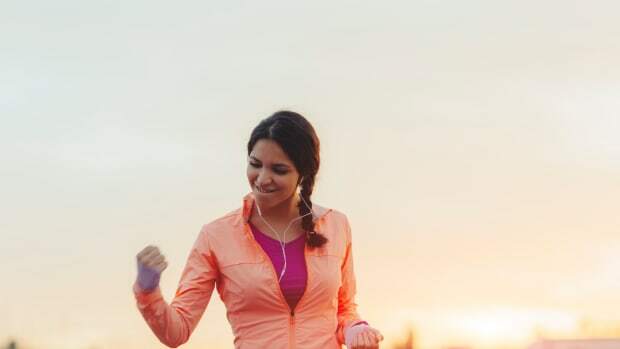 You workout to feel and look healthy, but let&apos;s be honest -- you really don&apos;t enjoy getting up at 5 am, lacing up your stinky, old running shoes and hitting the track before the sun comes up. 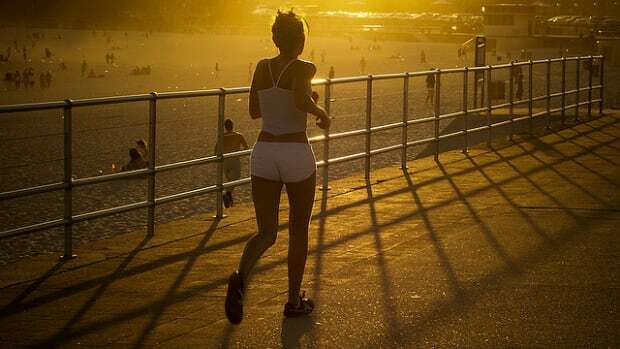 After all the work you put into keeping yourself fit and healthy, why would you want to practice a running technique that could potentially cause injuries? 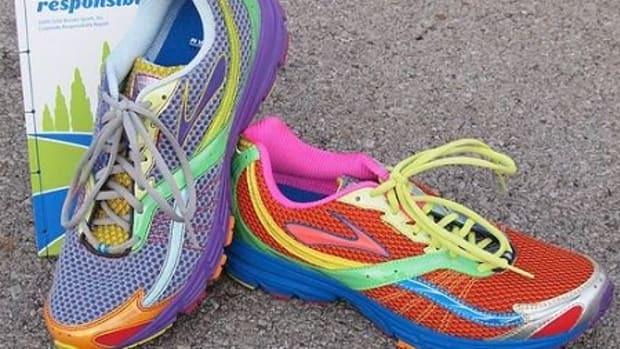 Conventional running shoes promote body jarring heel strikes, which put unneeded stress on an individual&apos;s body. 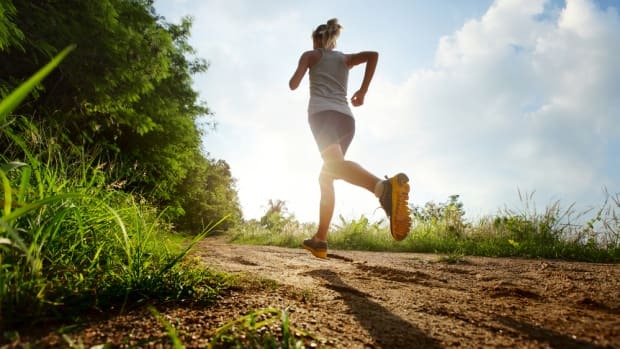 Running barefoot, however, promotes forefoot and midfoot strikes that impact a person&apos;s body less, promote good running posture, improve a runner&apos;s balance and strengthen feet. Barefoot running gained widespread attention when Christopher McDougall, writer and author, released his national best-selling book, Born to Run. In the book, McDougall finds "a tribe of the world&apos;s greatest distance runners" and learns the benefits of running barefoot. You may think buying a shoe that mimics the feel of barefoot running sounds like a waste of your "out-on-the-town" cash. Not true! 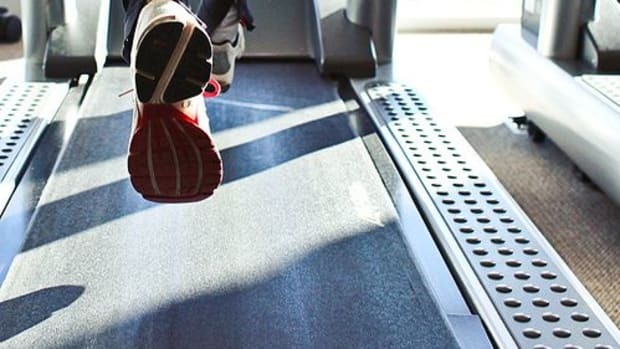 Many runners opt to wear minimalist shoes to protect feet from debris, gravel and germy gym treadmills. And bonus -- the shoes are no more expensive than conventional running shoes (they typically cost between $60 and $130 -- much cheaper than any of your designer footwear -- admit it). Remember those fun multi-colored socks with the pockets allotted for your little piggies? 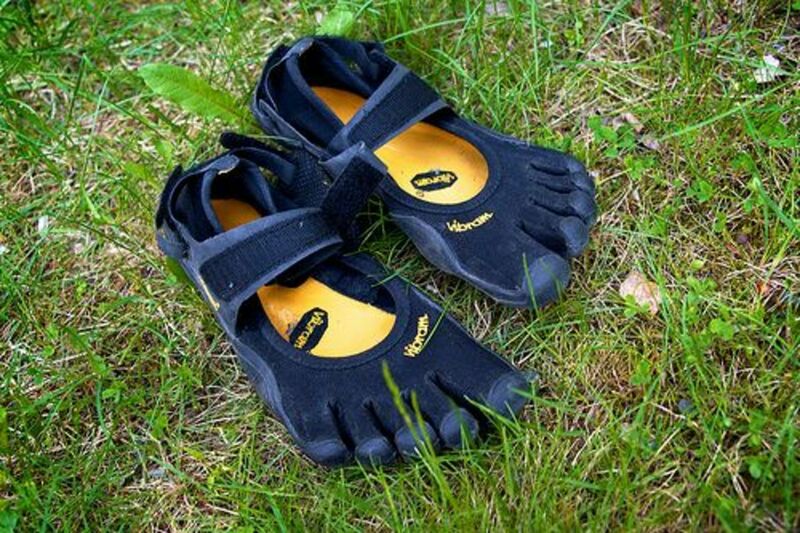 Vibram&apos;s FiveFinger shoes are built in a similar fashion. According to Vibram, the brand&apos;s shoes make "feet healthier by allowing them to move more naturally and freely." Vibram FiveFinger&apos;s are great for hiking, weight training, general fitness activities, kayaking, sailing and yoga. Vibram carries nine different shoe-types for men and women, and also has kid&apos;s shoe selections. Sustainable materials are used in some of Vibram&apos;s shoes, such as the brand&apos;s SmartWool Classics and the Treksport. Brooks running boasts many breakthroughs in barefoot running footware, such as Brooks DNA smart cushoning, BioMoGo, "the world&apos;s first biodegradable running shoe midsole that biodegrades 50 times faster than conventional athletic shoe midsoles" and the Progressive Diagonal Rollbar, a "long-wearing outsole compound with premium wet-dry traction in an environmentally-friendlier composition." Kigo&apos;s minamilist, barefoot-mimicking running shoe is unisex and it looks like those sweet water shoes we all sported when we were kids! Kigo&apos;s Edge is flexible, breathable and stretchy. The Edge is eco-friendly, boasting a post-consumer composition that includes water-based adhesives, CYCLEPET uppers and a recycled nylon lining and non-toxic dyes. Inov carries approximately 12 different styles of running shoes for men and women that are designed to compliment each individual&apos;s running style and terrain preference. Inov&apos;s shoes promote natural body alignment and have performance grip that suits varied terrains. And they take environmental preservation very seriously. The company is committed to keeping its rubber and plastic waste low, and recycles its waste in a cool way, using it in the manufacturing of kid&apos;s shoes! Be sure to read more about Inov-8&apos;s awesome company-wide environmental promises. Newton&apos;s shoes are made for natural running and the company strives to help runners improve form. Thus, they developed a patented Action/Reaction Technology that promotes midfoot striking. The company uses 100 percent recycled yarn shoe laces, webbing and post consumer recycled shoe boxes and soy ink. Yeah. 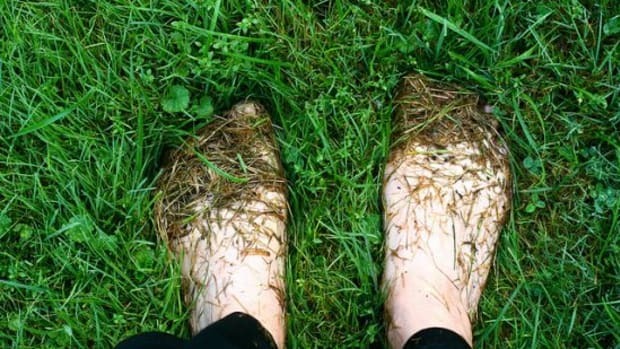 That&apos;s a lot of green innovation, but there&apos;s more: Newton uses an "ECOPET recyled insole topcover that also incorporates anti-friction and anti-bacteria technology," and a minimum of 10 percent recycled outersole rubber. Outstanding! Now you&apos;re ready to choose a cute (yes, these shoes are all cute and one will undoubtedly suit your style) minimalist running shoe and start training (just be sure to load up on an energy bar or some cool, wholesome summer oatmeal before you hit the terrain)!